2010 launched 13.8m Badenach built to AMSA 2C and 3C standards. Mark Ellis designed commercial hull producing a soft riding, easy planning and fuel efficient vessel. 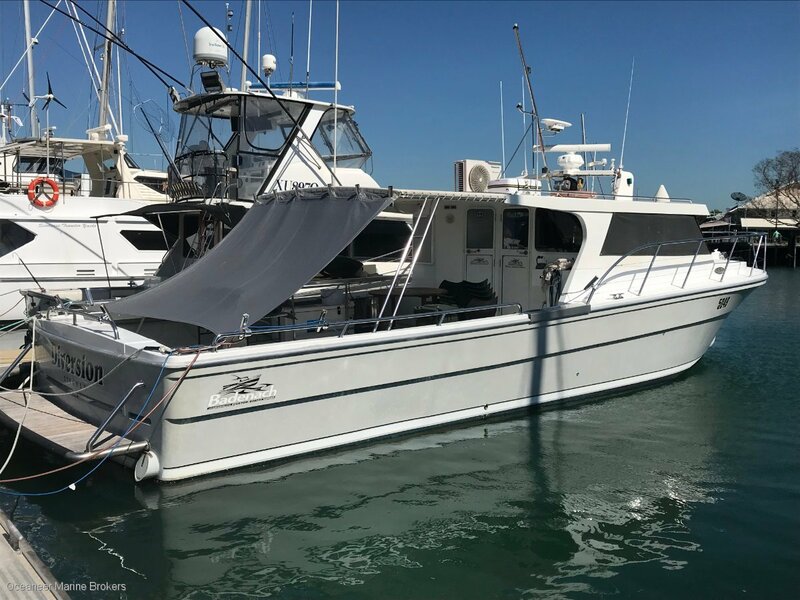 Powered by twin Yanmar diesels with speeds of 18/25 knots, this vessel presents as a well-equipped reliable outfit with exceptional layout including great accommodation, storage fridge and freezer capacities. This is a quality vessel with a quality fitout. It will impress the most discerning purchaser.